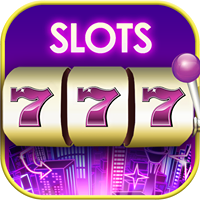 The VIP Program offers exclusive benefits for playing Jackpot Magic Slots. VIPs get bigger bonuses, higher purchase multipliers, and have access to VIP-only content. Earn VIP Points for making purchases and leveling up. The more VIP Points you earn, the higher your VIP tier. The higher your VIP tier, the bigger your rewards. Your VIP tier will never reset or decrease. VIPs Tier 4 and above have exclusive access to several benefits including early access to slot machines, special VIP-only slot machines, as well as the VIP Lounge. Anyone who becomes a VIP by purchasing at least $5 or more will have access to these benefits even before becoming VIP T4! When you access or play Jackpot Magic Slots, you automatically agree to be part of our VIP Program. If you do not agree or are not comfortable with any part of the program, please let us know by contacting Customer Support. Big Fish reserves the right to modify or revise the terms of the VIP Rewards Program, so it is important that you periodically check here for updates. If we revise the terms, such revisions will take effect immediately upon being posted within Jackpot Magic Slots. Big Fish reserves the right to terminate your participation in the VIP Rewards Program at any time for any reason.